When I first heard about the Urban Decay Naked Smoky Palette I thought, "Oh no that's not for me. Smoky eyes are not my thing." and left it at that. When it showed up on my doorstep a couple weeks ago I hadn't a clue my smoky-eyed-noob-self was about to get her world rocked. First things first, this isn't necessarily a smoky-eyes only palette. 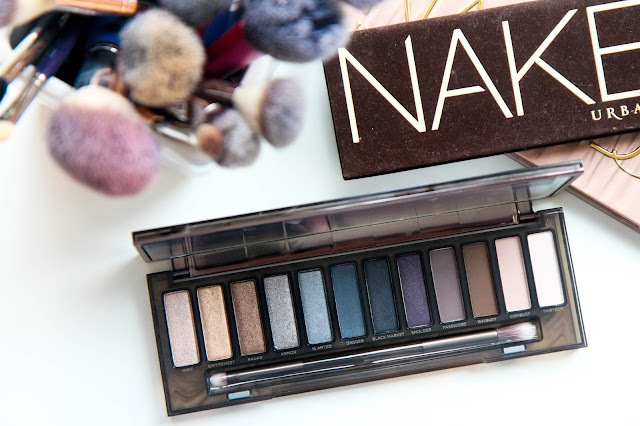 Sure it has the shades you need for an on point smoky eye to dazzle the world with (like Black Market, Smolder, and Dagger), but this palette is so versatile a neutral eye can easily be done. 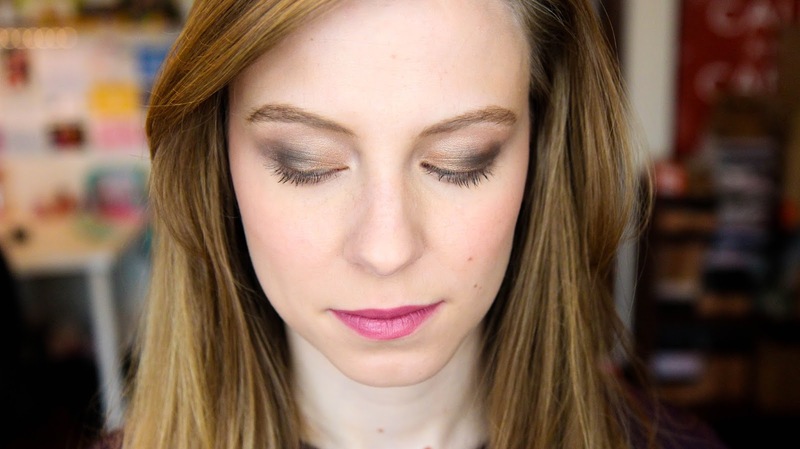 Dirtysweet, Radar, and a little bit of Whisky are all you need for a classic neutral eye with a slight kick. How cool is that? This palette is full of surprises and I've been loving discovering them. 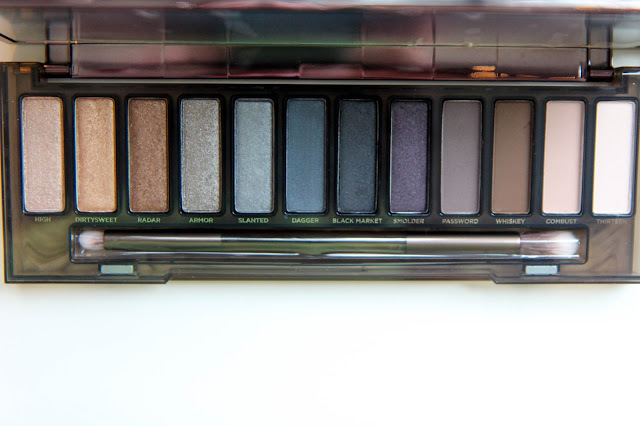 Of course it has the insanely pigmented shades Urban Decay is famous for, but the range is what's most impressive. There are purples, blues, blacks, and neutrals all in one palette arranged in a way that makes sense. You could almost group them in threes from left to right and have four completely different looks. It doesn't look like a Frankenstein palette at all, yet it can be used and worked with in so many different ways. Props Urban Decay. Color me impressed. The palette has also made me curious about this smoky-eyed world I've shied away from in the past. I always thought you really had to commit to the smoky eye to make it work and it always had to be slightly over the top. 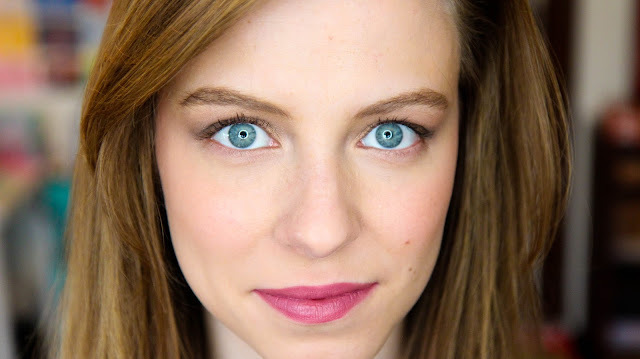 Yet after a little bit of experimentation of adding some Black Market to my usual neutral eye look, a new (to me) type of smoky eye emerged and I am oh so happy about it. I like to think of it as a vamped up version of an everyday eye. Yet it's not over the top in the slightest. It's just the right amount of safe with a little "I know what I'm doing" thrown in. A confidence booster for sure. The packaging is sturdy and gorgeous to look at. It's quickly become a staple in my everyday makeup routine. To think, I almost didn't give it a chance. You definitely should. 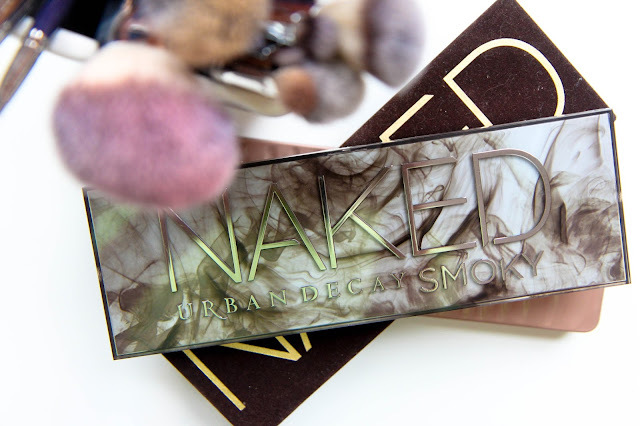 Have you tried the Smoky Palette?